Readers one thing is damn sure. FOX NEWS IS OUT OF CONTROL WHEN IT COMES TO PRESIDENT OBAMA AND HIS WIFE AND KIDS! Sean Hannity has been on a DAILY mission against the President from day one when he walked into the White House. And I mean a DAILY mission. And when Hannity speaks about the President you can see the anger in his face. And the guests he has every night join him in the very negative talk about the President. And I think it is very very dangerous what Hannity and Fox News is doing against President Obama. It brings racists and hate groups out of the woodwork who want to kill or hurt the President. This is a flat out fact readers. Threats against the President is up 400% from when President George W. Bush was President. Let me repeat, 400%! This is a problem that I am worried about. 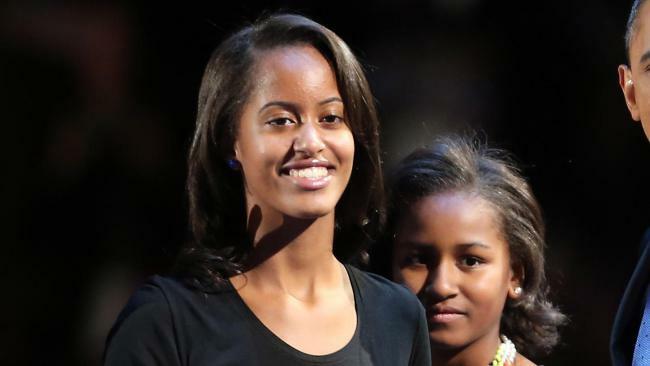 Now a STUPID Fox News host asks a OUT OF LINE question about First Daughter young Malia Obama. She asks will Malia take birth control pills. WHAT KIND OF QUESTION IS THIS READERS? I cannot believe the host would ask such a question over the freakin air!! UNREAL AND ALSO RACIST!! I wonder if a Fox News host asked the same question of the Bush twin daughters when President Bush was in the White House? DON’T THINK SO!! Fox News is going unchecked on the racism against the President, First Lady Michelle Obama and the children. Where is the NAACP or the National Action Network or the Urban League or the Rainbow Coalition? Where is the protests against the DANGEROUS racist actions by Sean Hannity and Fox News? Where is the Black Caucas? I think when you start in on the Obama daughters YOU HAVE STEPPED OVER THE LINE!! Asking will Malia be taking birth control over the damn is flat out WRONG!! I am real bothered by this. Look for “SPORTS INNER CITY TV” Urban sports news and issues PLUS exclusive sports interviews and hip-hop-r&b-pop music videos! Watch via smartphones, pc’s, mac’s, tablets. 24-7 on-demand! Watch the latest “Music Inner City TV” program PLUS hours and hours of past “M.I.C-TV” programs by clicking on the “Television Show” link above. All from our program on Comcast-Xfinity On-Demand/24 a day/Western Washington state/ go to “get local” and then “around the sound”. Did Lebron James Go To L.A. For Basketball Or For His Business Empire? It Is Amazing How Kylie Jenner Became The World’s Youngest Billionaire at 21!